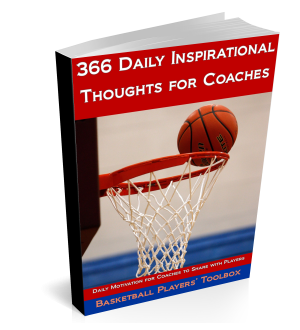 If you like these basketball workout drills and think that your teammates would be interested in seeing them, please consider clicking the Facebook like button or using the Twitter button (both or to the right of this text) to tweet the link to this page. Thank you! 1 on 1 Live: Check the ball at half court. 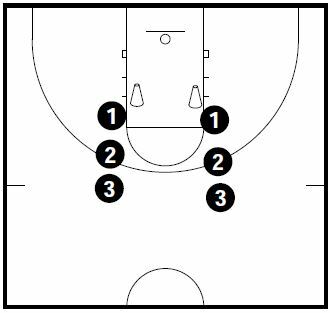 Player will have 3 to 4 dribbles to score. Limited to one shot and you must stay within the cones. Offense stays if they score. Two cones on each side of the basket. Players will work on their last two steps, making sure they are long and low and that their finishes are in front of their body and underhand (pin and extend). 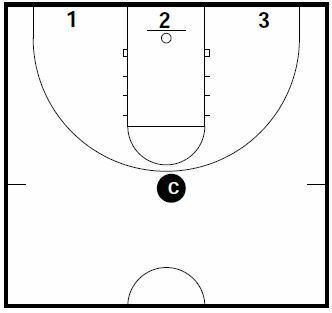 After every player finishes on each side, the coach will gradually move the cones back until we reach the NBA 3pt arc. 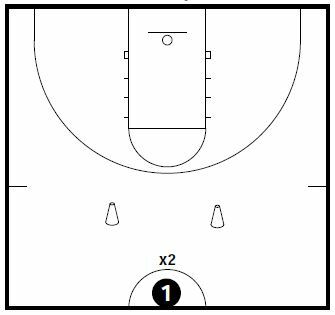 Starting at midcourt, player 1 will take a power dribble stance with his toes pointing to the sideline. Player 2 will provide intense defensive pressure with his forearm on the Player 1’s inside shoulder. On “Go” Player 1 must create space and work his way to the bell at the top of the key without going outside the cones. Once the bell is reached, it’s live 1 on 1 limited to one shot. 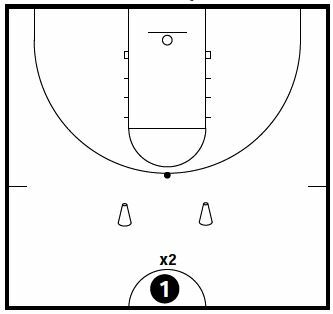 If Player 1 goes outside the cones it’s a turnover. Offensive player stays on if they score. Be aware of 5 second violation. 3 Players on the baseline going at same time. Coach at top of key. If coach calls your name, then pass him the ball. Coach then tosses the ball to a random location. Player must catch on the first bounce, square/have “perfect feet” and shoot. Go for two minutes. Count makes! Compete!